As phones, tablets and monitors continue to achieve higher and higher screen resolutions, the need for the ability to display high resolution images and graphics on the web is only going to increase. This article will help to convey some of the basic concepts around HiDPI and how web designers and builders can accommodate new devices that employ it. PPI is the physical number of pixels that a screen contains in a given inch. For example, imagine a ‘standard’ 19.2 inch by 10.8 inch LCD screen with a native resolution of 1920px by 1080px. The PPI of this screen would be 100 PPI. Although this list is anything but comprehensive, it gives us a rough snapshot of where mobile displays were in 2007; an average of 152 ppi. Although only 4 years later, our average has jumped to 280 ppi. A final fast forward to 2015 and we see the Samsung Galaxy S6 (577 ppi), LG G4 (538 ppi), and the Sony Xperia Z4v (565 ppi). An average of 560 ppi. Okay, so PPI is going up… now what? Consider a hypothetical mobile phone screen with the exact same physical dimensions of 3 inches by 4 inches. One phone is from 2007 with a resolution of 320 x 480 pixels (like the iPhone 1st gen), the other from 2015 with a resolution of 1440 x 2560 pixels (like the Samsung Galaxy S6). As resolutions began to climb, it became clear that pixel dimensions could no longer be mapped at 1:1 scale in the browser. 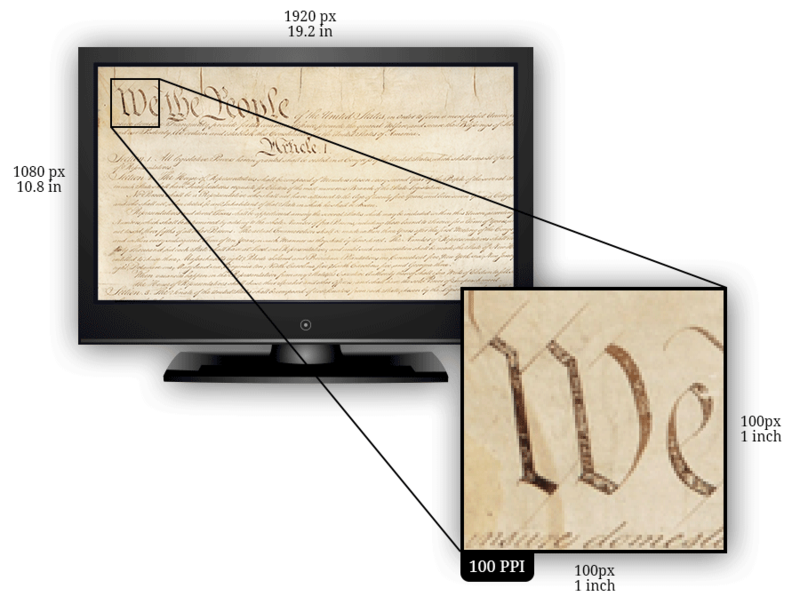 This led to the introduction of the “reference pixel” and the “device pixel ratio” (aka “CSS pixel ratio” or “dppx”), which is the ratio of physical pixels to logical pixels for a given screen. 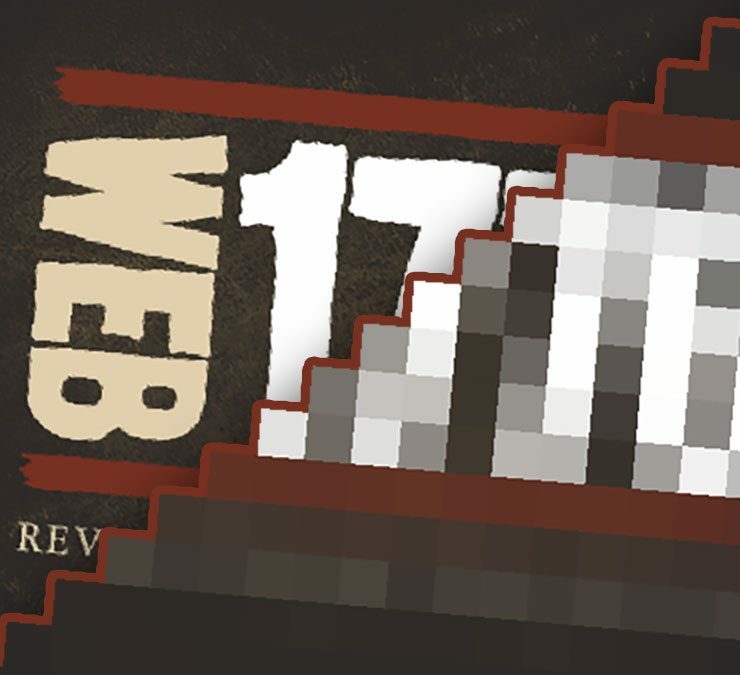 The W3C defines a reference pixel in some detail. The summary for our purposes being that a pixel in our CSS may not map directly to a single physical hardware pixel when it gets displayed on the user’s screen. If our phone from 2015 above had a device-pixel-ratio of about 4 (for the sake of example), the rendered results on both phones would be almost identical. This is because every 4 physical pixels on the 2015 phone would translate to a single “CSS pixel”. 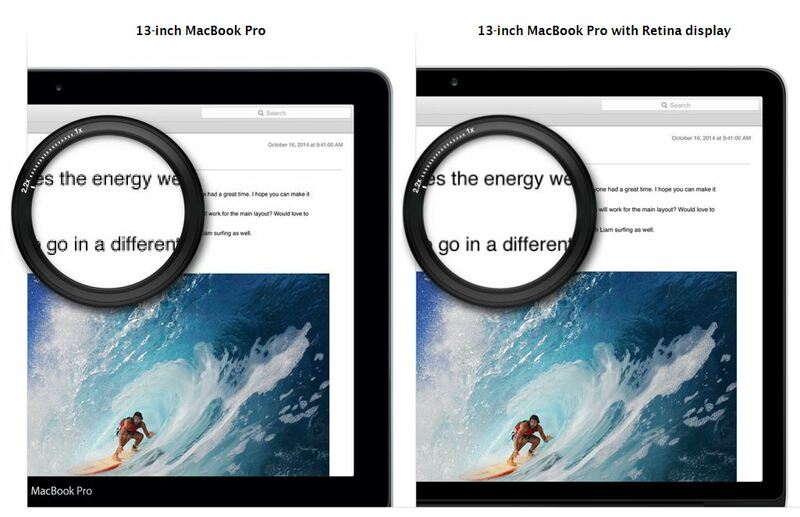 There is a good illustration of this capability: Apple has a tool on their site where you can compare a 13-inch MacBook Pro to a 13-inch MacBook Pro with Retina display. Serve a single (optimized) HiDPI JPEG / PNG / GIF image to all users. Both image-set() and srcset allow web developers to specify multiple versions of an image through either CSS (image-set) and HTML (srcset) and have the browser determine which resolution image is appropriate. Native browser support is coming along for both, and browsers without support fallback to the standard definition image. Polyfills also exist (like Picturefill) to bring most modern browsers up to to speed if they don’t support srcset natively. 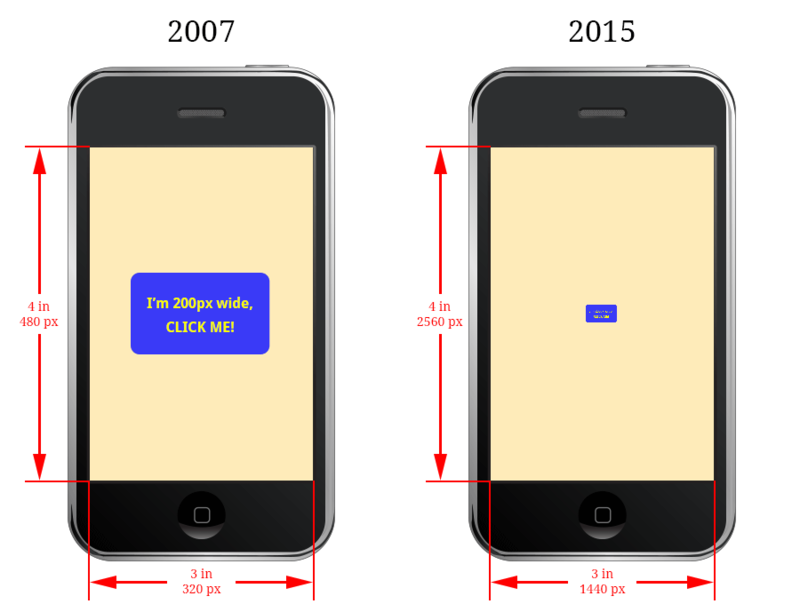 Based on current trends, dealing with high pixel densities on the web is not going away. More and more desktop and laptop displays with high densities are emerging making it less of a mobile specific issue and more of an everywhere issue. There’s no one obvious sure fire solution yet when it comes to presenting images cleanly and efficiently for all users. However, there are plenty of good, and getting better, options to choose from depending on the application and audience.